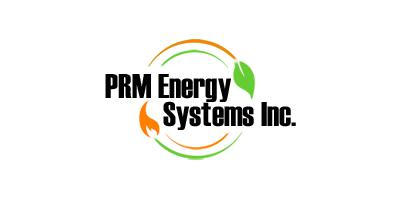 PRM Energy Systems, Inc. is the developer and owner of the PRME KC-Reactor Gasification Technology. PRME has gasified more biomass than all other gasification technologies combined. Our systems are successfully operating in high demand industrial applications on five continents converting over 8.5 million tons of biomass and other waste fuels to clean energy. We have systems that have been operating around the clock for over 32 years. The PRME Technology converts solid fuels to combustible gases that are used like natural gas to fire boilers, dryers, kilns, furnaces, thermal oxidizers and IC engines. PRME Gasification Systems are available in a wide range of sizes to gasify from 30 to 2,000 tons per day. Our Biomass Gasification Technology can be found Worldwide. From the jungles of Southeast Asia to the heart of North America, PRM Energy has delivered reliable and efficient renewable energy solutions to five continents establishing its reputation with industry, government and independent power producers. Our KC® Gasification system is world renowned as the premiere technology for multi-fuel gasification. PRM Energy Systems, Inc., 504 Windamere Terrace, Hot Springs, Arkansas, was originally incorporated in 1973 under the laws of Arkansas. The technology for the biomass fired reactor/gasifier was developed and patented under the direction of Mr. Ron Bailey, Sr. while President of Producers Rice Mill Inc., (1967-88). The first two gasifiers were installed in 1982 to gasify rice husks to produce process heat and steam for a large rice parboiling facility. The energy from the gasification of rice husks in the PRME gasifier displaces natural gas in the dryers and boiler. Bailey retired from Producers in 1988 and acquired PRM Energy Systems, Inc. (PRME) along with the patents, technology and trade secrets for the PRME reactor/gasifier system. During the period 1984-88, many types of biomass fuels were tested in a full-scale PRME gasifier, i.e. : rice hulls, rice straw, chicken litter, green bark, sawdust and chips, peat, wheat straw, corn cobs and stubble, peanut hulls, RDF (fluff, flake and pellet), petroleum coke, cotton gin waste, cotton seed hulls and low grade coal. All of these waste fuels were successfully converted to valuable syngas. PRME’s gasification technology has the longest performance record for rice residue fired systems in existence: since 1982 in the United States, 1985 in Australia, 1987 in Malaysia and 1995 in Costa Rica.